This higher power BALUN or UNUN utilizes mil-spec coax cable for the windings on a triple core toroid with coax silver shield and silver braid for low loss. The dielectric is Teflon® insulation for high voltage ratings of 1,900 volts. (A typical 5KW signal at 50 ohms impedance will have a voltage of 500 volts at 1:1 SWR). Available wired as a BALUN (CB-1-5000) with wire studs output or as a UNUN (CU-1-5000) with SO-239 input and output connectors. Rated 5KW PEP/1500 Watts AM/RTTY/CW/FT-8 from 1.8-30 Mhz, less at 50 Mhz. 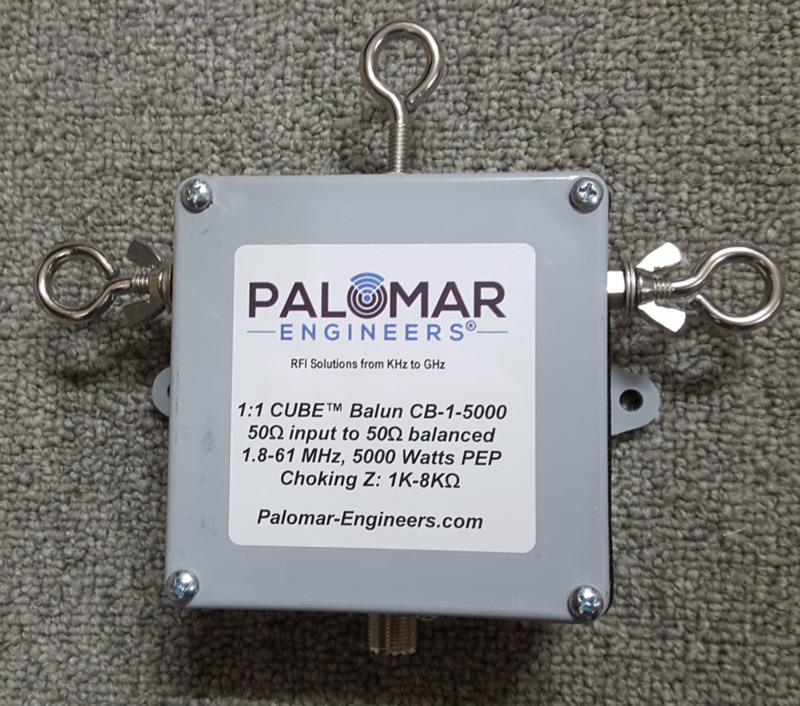 Enclosure is 4" x 4" x 2"
If you run RTTY contests at 1500 watts output, this is the balun/unun you need – it won’t burn out at heavy 1500 watt duty cycles like other brands rated at 1500 watts (or more). We use these same chokes in our own RTTY station at full 1500 watts output and they have never failed. We use one at the amplifier output and another at each antenna feed point. Works very well on OCF antennas below the 4:1 balun to keep RF current on the antenna and off the feed line. Built like a tank, works like a charm, and priced under the competition – what more can you ask for? THIS IS OUR MOST POPULAR 1:1 BALUN!